Hospitals Wield Clout To Name Their Price In California : Shots - Health News Two recent California efforts to reign in hospital prices - or at least reduce pricing disparities between hospital providers in the state for the same procedure - have been stymied, thanks to the hospital lobby. California has long been a leader in health care innovation, from popularizing HMOs to inventing the CyberKnife (not to be confused with the Ginsu Knife). But recently, hospital opposition has smothered two California-based efforts to help patients and buyers of health insurance pierce the opaque world of hospital pricing. 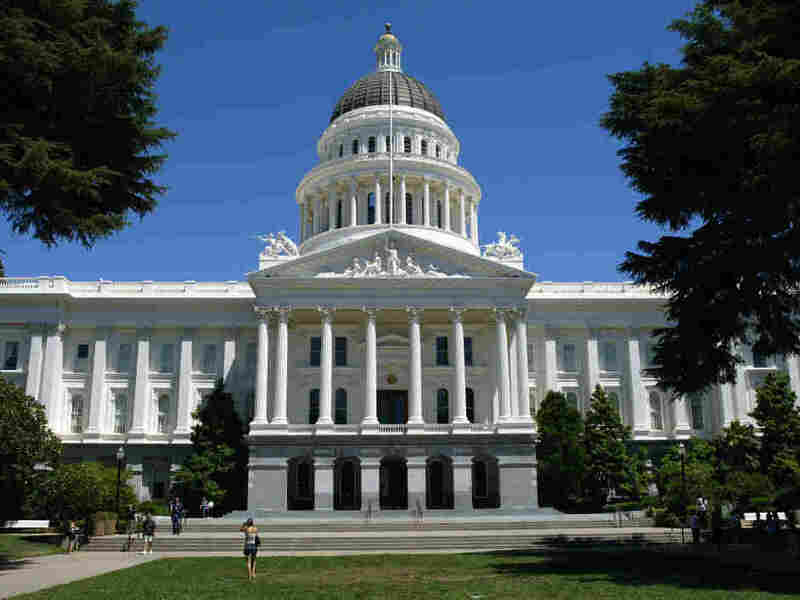 In Sacramento, the state’s hospital lobby once again defeated a bill that would ban hospitals from inserting “gag clauses” into their contracts with insurers. These clauses prohibit insurers from revealing to enrollees the differences in costs and quality among hospitals in their network. The state’s pension fund and a big employer coalition known as the Pacific Business Group On Health have quietly given up on getting California hospitals to help them devise a system to rate hospitals by the cost and quality of their care in order to make it easier for health care purchasers to comparison shop. For their part, hospital executives say their rates are fair and that there is enough competition among them. If rates are too high, employers can go elsewhere. The hospitals also say they charge more in some places to cover the cost of better equipment, better staff, and complex cases. Plus they need to make up for reduced payments from government programs like Medicare and state aid programs. But the charging disparities are vast. In California, some medical centers charge double what neighboring facilities bill for the same basic procedure. In the East Bay, the lowest amount the insurer Aetna paid John Muir for an outpatient colonoscopy was $3,185. Aetna paid $1,483 to San Ramon Regional Medical Center for the same service. In places like Massachusetts, where geographic variation among hospitals has been examined, the conclusions have been equally alarming: Differences of as much as 300 percent in the prices insurers pay to different hospitals.